In 1996, God called Dr. Ron Stewart, former pastor of Grace Baptist Church (1988-2016), to begin a new ministry through the establishment of a Christian school. After two years of preparation and research, the first group of fifty-five students and five staff members were present on the first day of classes on August 17, 1997. During the first few years of its existence, enrollment rapidly increased and as a result, the construction of a new 29-classroom building began in 2000. The same school year, GCA first accomplished accreditation for grades K-8 through the Association of Christian Schools International (ACSI). 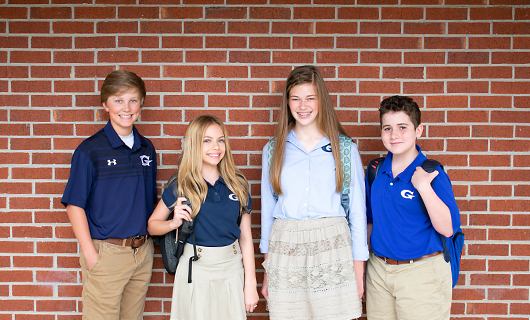 After moving into the new facility in 2002, GCA completed the accreditation process for high school grades 9-12 during the 2003-04 school year. By the year 2005, to accommodate the ever growing student population, GCA further expanded into a brand new high school facility. Grace Christian Academy is conveniently located on Oak Ridge Highway in the Karns community of west Knoxville, Tennessee. All of GCA's faculty, staff, and administrators profess faith in Jesus Christ. 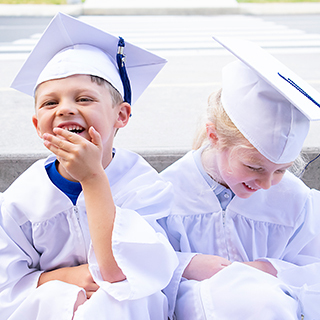 The entire academic faculty in grades K-12 have at least a bachelor's degree and an average of 7 years of educational experience. Several of the faculty and administration have advanced degrees.